Content is syndicated by our blog partner Global Intel Hub. Poaching our content is fine as long as a backlink to eliteeservices.net is provided. If you want to embed this blog on your site, or use it's RSS feed, please do so using the details below. This blog posts links to qualified sources only, with topics covering the finacial markets, technology, business, and the economy. Blog authors are not responsible for content on 3rd party news sites which this blog may link to. The blog does not post articles which solicit any type of investment. The risk of loss in trading foreign exchange markets (FOREX) can be substantial. You should therefore carefully consider whether such trading is suitable for you given your financial condition. 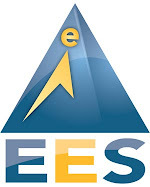 Elite E Services, Inc. (Elite E Services) does not control, and cannot endorse or vouch for the accuracy or completeness of any information or advice you may have received or may receive in the future from any other person not employed by Elite E Services regarding foreign currency trading or any managed account information. The factual information contained herein has been obtained from sources believed to be reliable but is NOT necessarily all-inclusive and is NOT guaranteed to be 100% accurate. The content herein is provided on a best efforts basis and is believed to be up-to-date and accurate; however, there are no explicit or implicit warranties of accuracy or timeliness made by Elite E Services or affiliates. FOREX trading involves substantial risk and is not for all investors. Investments or trading in the FOREX markets can be highly speculative and should only be done with risk capital which you can afford to lose and that, if lost, would not change or adversely affect your lifestyle. The high degree of leverage that is often possible in foreign exchange trading can work for you as well as against you. The use of leverage can lead to large losses as well as gains. Managed foreign exchange accounts can be subject to substantial charges for management and profit incentive Elite E Services, and in some cases (Introducing Brokers, Referring Parties) commissions or mark-ups that are above and beyond the ordinary spread generally provided on a trade execution platform. It may be necessary for those accounts that are subject to these charges to make substantial trading profits to avoid depletion or exhaustion of their assets. Performance results may vary due to account size, starting or closing date, the number of positions and/or markets traded and/or other factors. This brief statement cannot disclose all of the risks and other significant aspects of the foreign exchange markets. Therefore, you should carefully review the disclosures contained in this document to determine whether such trading is appropriate for you in light of you particular financial condition. There are also risks associated with utilizing an internet-based deal execution system software application, and computerized trading and money management tools including, but not limited to, the failure of the hardware and software. PAST PERFORMANCE DOES NOT NECESSARILY GUARANTEE FUTURE RESULTS, nor does it guarantee freedom from losses. The information contained herein should not be construed as an offer to buy or sell commodities, futures, securities, or any type of investment. Elite E Services highly recommends that before making a decision, the reader collects several opinions related to the decision and verify facts from several independent sources.